I was in my twenties when it dawned on me that Easter, not Christmas, is the most important Christian celebration of the year. Christ’s death and resurrection are the cornerstones of Christianity. In fact, Christianity stands or falls by the truth of the resurrection. What do we really know about the alleged death and resurrection of Jesus? How sound is the evidence? What do non-believers and skeptics who study this kind of material think happened? This is an important topic for your kids to understand. Today I’m sharing an interactive way to explore these questions as a family this Easter. Gary Habermas developed a ‘Minimal Facts’ approach to the evidence around Jesus’ resurrection. These are the most reliable facts from which to build our case for or against the resurrection. My husband and I created a Bible Study to help you to discover and discuss these Minimal Facts. Why not grab a Bible and try it out over Lent? The questions are at the beginning, and an answer key is at the end of this post. 1) What is the language that Paul uses in 1 Corinthians 15: 12-19 to describe the importance of the resurrection to our Christian faith? 3) What does the above comparison of the resurrection accounts tell us? 4) Is there any significance about the women discovering the empty tomb? 5) What about the guards? a) at the time of His arrest and death? – Jesus’ tomb was found empty (of his body). – The disciples claimed to have seen a resurrected Jesus. – Jesus’ disciples had an early and sudden belief in the resurrection (this was not something that was invented by Christians centuries after the fact). – Paul (an enemy to Christianity) and James’ (a skeptic of Jesus) change of heart. While we have come to these facts through studying the Bible, we can’t always just quote these Bible verses to non-Christians because they don’t have the same view of the reliability of the Bible. But in this case, we don’t have to shoulder the burden of defending the reliability of the Bible because both friendly and hostile (non-Christian) scholars all agree on the five Minimal Facts listed above. In addition, these Minimal Facts are well established in extra-Biblical (outside the Bible) sources written by Christians and non-Christians. Even if we threw out the Bible entirely, these Minimal Facts are documented in ancient texts outside the Bible. That’s why they are so accepted, even by skeptics. Someone who refuses to accept these Minimal Facts is taking a position that even the majority of skeptical (non-Christian) New Testament scholars in this field (the people who should know) will reject. The bottom line is, its not the FACTS about Jesus’ death and alleged resurrection that are contested, but the interpretation of those facts. In my next post, we’ll pit these Minimal Facts against the various explanations for them and see which is the most logical. As defined in Habermas and Licona (2004) The Case for the Resurrection of Jesus, Kregel Publications, Grand Rapids, MI, p. 44. 1. It’s a strong statement that the resurrection of Christ is central to Christianity and Christianity stands or falls by the truth of the resurrection. Many people, Christians and not, do not necessarily realize this. 3. Based on above NT scriptures, some facts are widely documented. There are some differences between the accounts. These are all eyewitness accounts or interviews of eyewitnesses, dated extremely close to when the event took place and they all say that Jesus died, the tomb was found empty, he appeared resurrected to his disciples, and the disciples were not expecting his resurrection. 4. The fact that women found the empty tomb is an considered an embarrassing event (women’s testimony was not considered reliable, so if the disciples were making the resurrection up they would not have had women discover the tomb; therefore the account is likely true). 5. Account of the guards is only found in one gospel. 6. a) Dejected; scared; deserting Him; confused about the turn of events. b) At first they were surprised and skeptical (eg Thomas). Then they became convinced and were emboldened to the point where they went to their death (martyrs). People don’t die for a lie – the disciples were in a position to know if Jesus actually rose from the dead. 7. a) Paul’s conversion: Paul goes from persecuting Christians to accepting persecution because of his faith. b) James’s conversion: James, who was a skeptic of Jesus, became a leader in the church and was martyred for his faith. Resurrected Jesus appears to James. 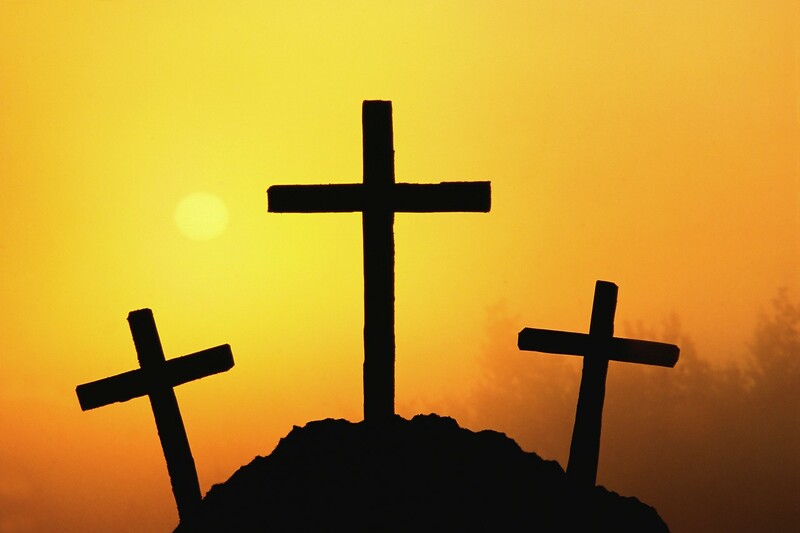 Filed under Activities for Easter, Apologetics for Parents, Did Jesus Rise From the Dead? This is SO awesome! I’m going to be writing posts on the minimal facts soon and when I introduce it, I’m going to link to this activity. What a great idea!